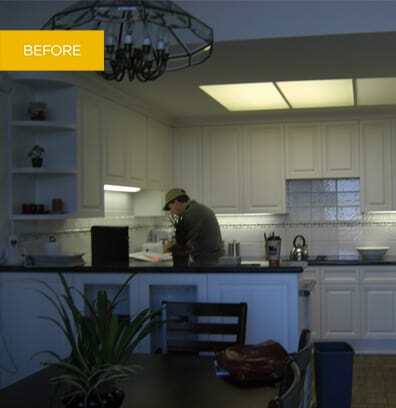 The clients for this kitchen remodel were a Minnesota couple who decided to transform their Del Mar getaway home into a permanent residence. The couple wanted a more open, clean, Californian aesthetic as a refreshing contrast to their traditional Midwest home. 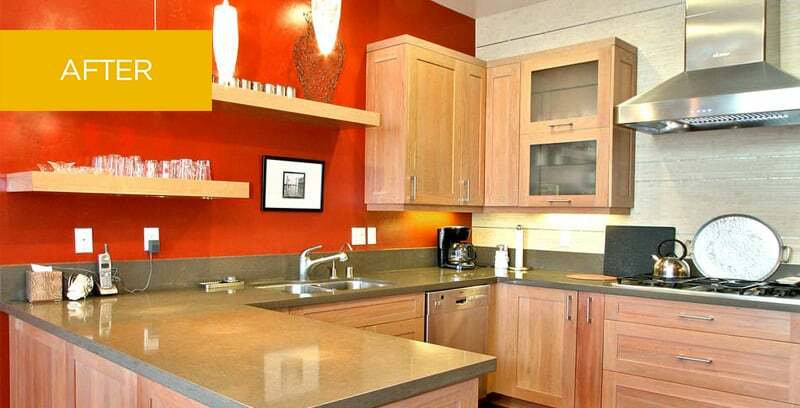 This remodel was accomplished successfully while the clients were able to remain in Minnesota, communicating mainly via phone and email. The new kitchen embraces a casual, contemporary style with added storage and functionality for the couple, who often entertain family and friends. Structural changes transformed the ground floor into an expansive, light filled space and made room for a larger kitchen, a home office, and a family room. A stainless steel hood above a Wolfe range is a focal point of the new work area, which includes a Sub-Zero stainless steel refrigerator, island sink and microwave. A clean-up area with a dishwasher and custom stainless steel apron sink stretches below a trio of windows with backyard views. Frosted glass doors framed by matte aluminum on the top cabinets flip up to open. The subtle green tinge in the glass echoes the sea foam granite countertops. A mosaic of hand-glazed glass tiles highlights the backsplash. The new kitchen island includes a wine refrigerator and a black granite bar with four Italian stools. The lighting above the island is made from handblown Leucos fixtures of “folded” white glass, selected to complement a colorful Archimede glass chandelier the homeowners use to illuminate their dining room table.